SW Motech have just the right fittings to turn your Honda Africa CRF1000L Africa into a full blown road tripper. 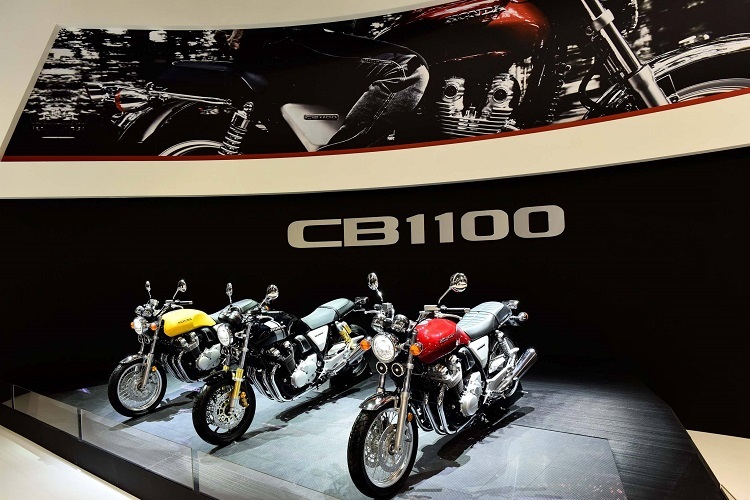 Since the Honda CRF1000L has been launched, motorcycle enthusiasts everywhere must have started planning long riding trips and vacations. 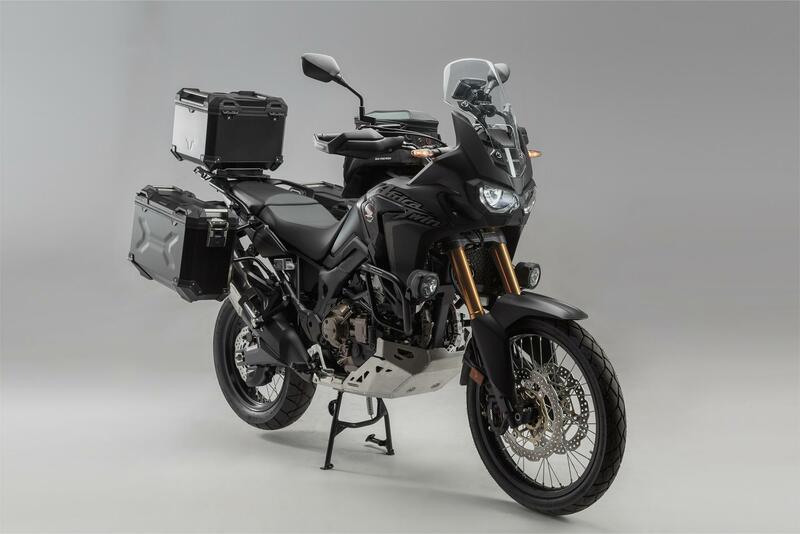 But you can’t get too far without a well-equipped bike, which is where German outfitters SW-Motech step in, with their exhaustive range of Honda Africa-specific motorcycle gear. In fact, they have just about everything to make your bike adventure-ready. They start with the basic protective accessories. You have a selection of belly pans, bar risers and even chain guards. 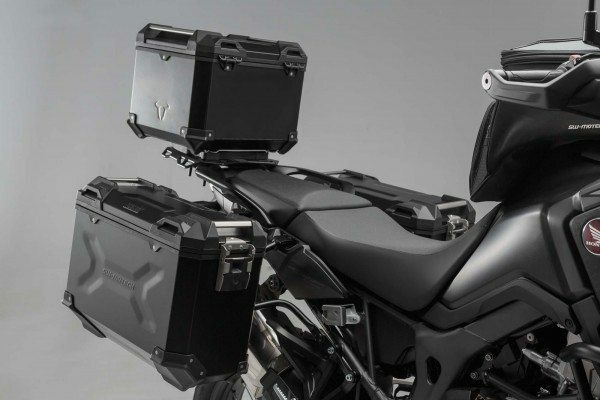 Of course, there are also crash bars and a rear brake reservoir – all of which should keep your motorcycle unblemished even when you plow through less hospitable terrain. 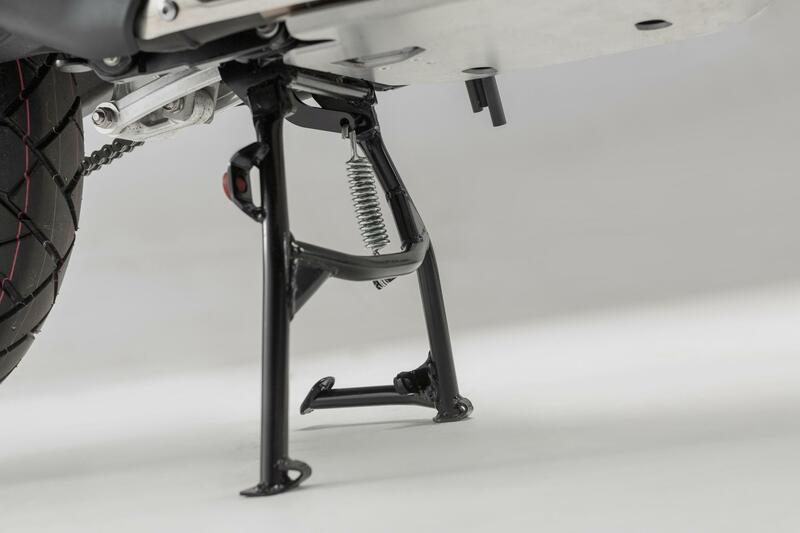 The modification even includes a skid plate for the center stand. Keeping you out of harm’s way. Where SW-Motech have really upped the game is with their luggage systems. From water tight roll packs for tarpaulin sheets to quick lock systems for things you want to stash away on the go. And we aren’t going to stop just there, because there are also tank bags and tail bags available, of all shapes and sizes you can imagine. Also on the catalogue are TRAX side and top carriers, for even more storage room. It’s time to pack for a long trip. Carry the world with you. Excellence is in the details though and SW-Motech should pick the fancy of more discerning clients. Things like a GPS Navigation Unit and mounts for action cameras give you scope to try out little experiments to make your ride much more satisfying and memorable. 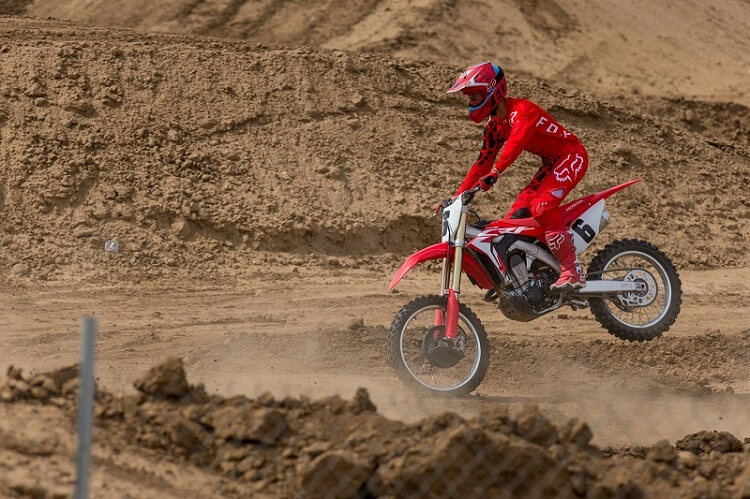 Honda CRF1000L patrons can also get a variety of mirror extensions and handguards too. 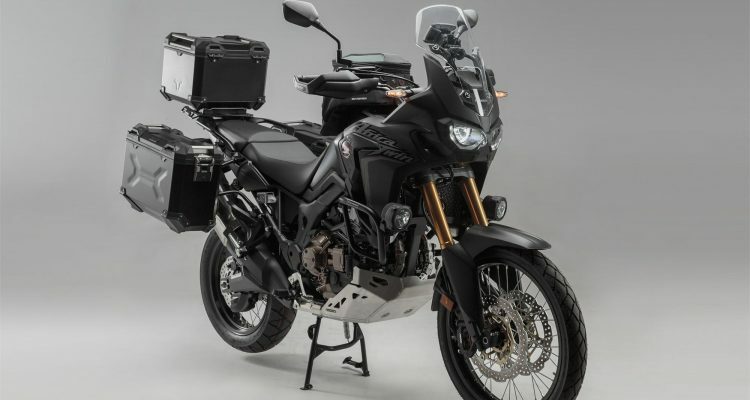 The kind of equipment on offer should definitely make the Honda Africa CRF1000L much more of a road tripper than the stock version. 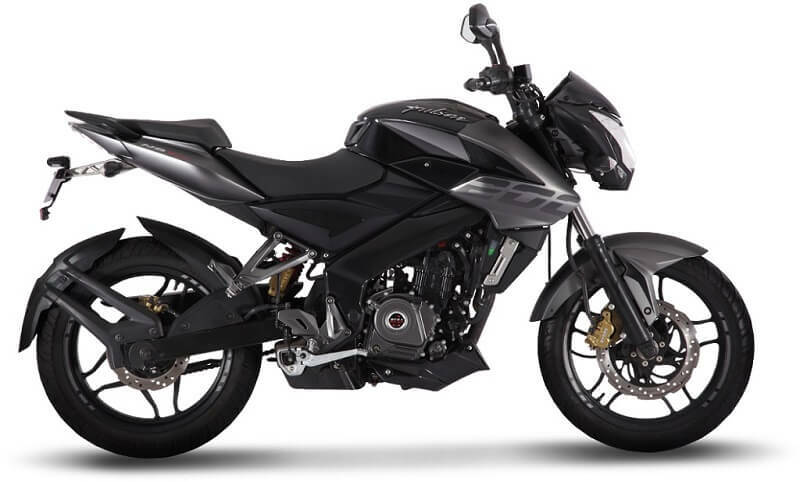 SW-Motech might become a de-facto stopover for any Honda Africa owner after they purchase the bike. The full range of accessories should also enable the riders to stretch the legendary bike to its full road-faring potential.